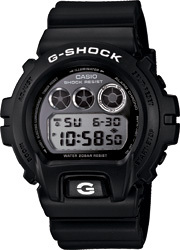 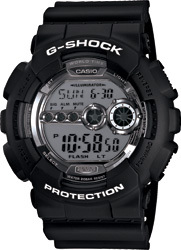 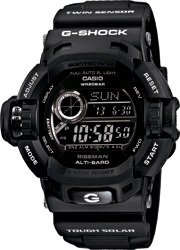 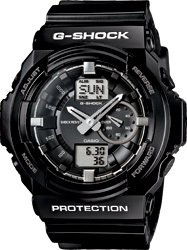 Tough they are all colored basic black, this collection of G-SHOCK models provide a selection of features and styling to suit just about everyone. 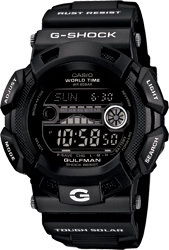 The four matte finish models below include two with either RISEMAN or GULFMAN capabilities. 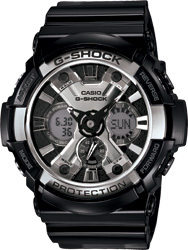 The glitter finish of the models on the page to the right combine with metal parts to provide plenty of glitter in a basic G-SHOCK design.